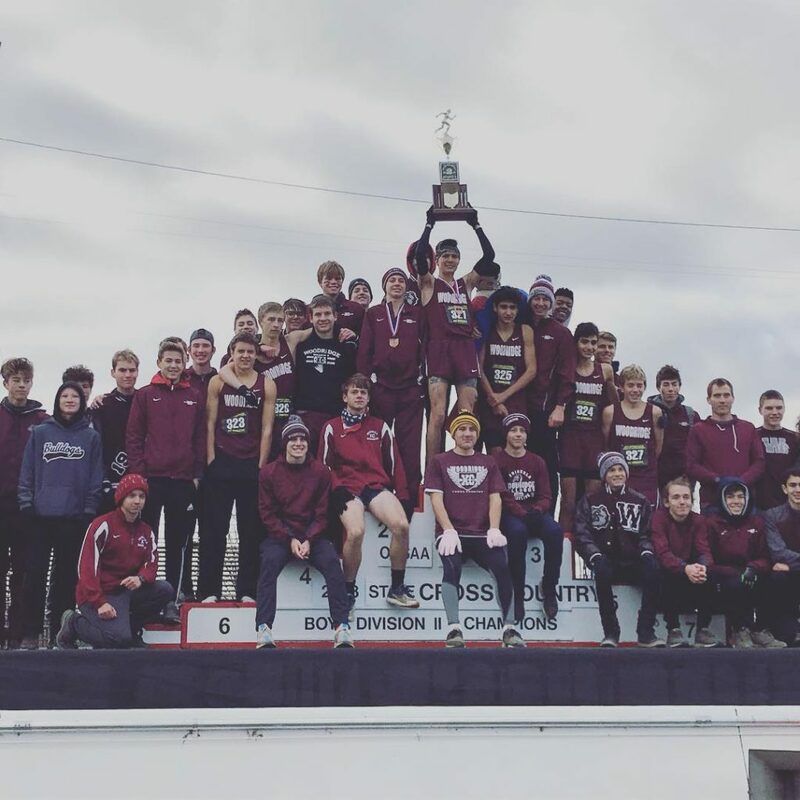 On Saturday, November 10th, the Woodridge Boys Cross Country team outpaced the competition at National Trail Raceway in Hebron, Ohio and secured their 8th State Championship since 2006. The Boys tallied a team score of 109, which was good enough to earn the Division II team title. Additionally, the boys had two All-Ohioans (All-Ohioans are the top 20 finishers) in Micah Blair (5th overall) and Ryan Champa (16th overall). Congratulations to the entire Boys Cross Country Team and to Coach Howard, Coach Norris and Coach Heasley!